Visiting Every Spring Training Camp Is A Unique Experience. Choose your Spring Training destination, soak up some sun with your loved ones, and catch a baseball game before the season starts. Spring Training is a series of practice or exhibition games that are played from the end of February until right before Opening Day in preparation of the regular season. Every major league team is divided into either the Cactus League or the Grapefruit League. Teams in the Cactus League play in Arizona, while teams of the Grapefruit League play in Florida. Spring Training dates almost as far back as the game of baseball itself. Though the exact origins of the tradition of Spring Training have been lost, one of the earliest recalled stories of Spring Training occurred in 1866 when the Chicago Whitestockings, known today as the Chicago Cubs, traveled to Hot Springs, Arkansas to prepare for the regular season ahead of them. Today, Spring Training provides an outlet for baseball fans and non-baseball fans alike to have access to their favorite players as well as a unique experience watching a major league level baseball game in a more intimate ballpark than major league stadiums can provide. The beautiful weather in both Arizona and Florida during late February and early to mid-March help to draw fans to both destinations for these exhibition games. One of the best things about Spring Training is that you get a relaxed environment with pressureless games, yet players are still competitive in preparation for the upcoming season. Many players are competing for starting positions, and minor league players often get a shot of moving up to the big leagues if they prove their skills. You get to see players really shine in the Florida and Arizona sun, and it always makes for some good baseball. Since I grew up loving baseball and attending as many major league baseball games as I could possibly get myself to, attending Spring Training was always a dream of mine. Last year, I made that dream a reality by visiting three spring training complexes in Florida with my dad and my sister. I was enamored by the calm atmosphere of spring training and how easy it was to get up close and personal with players, coaches, announcers and more. Because of the great experience, I had my first time down watching Spring Training, I made sure to go back during my spring break this year. This year my dad and I went to about 10 Spring Training games in the span of 8 days. The number of players I had the chance to get close to and the quality of baseball I saw being played is irreplaceable. Each team brings their own character and city into their stadiums and complexes. Visiting every team's Spring Training camp is a unique experience. Though I have yet to go to Arizona to see a Cactus League game and any of the Cactus League complexes out there, I am sure that the experience is just as amazing in Arizona, and I cannot wait to make Arizona my next Spring Training destination. Spending my last two spring breaks down watching Spring Training in Florida were two of the best decisions I have ever made and I wouldn't trade them for the world. I truly cannot wait for my next trip. So take my advice: choose your Spring Training destination, soak up some sun with your loved ones and catch a baseball game before the season starts. With a concession item in one hand and a baseball in another, you can sit back, relax and enjoy quality baseball and personal player experiences. It is finally February and you know what that means (if you don't know well then I am here to tell you). This is the month that BASEBALL SEASON begins! Whether it be MLB Spring Training or college baseball this is the month where the sport gets into full swing - no pun intended. Do I understand and like the game of baseball? Yeah, sure I do. Do I like the cuties in the baseball pants who play the sport more than the actual game? Yes, of course. That is obviously what is more important! If you are like me and are wondering who it is to look for this coming season, then this is the place to find out! Through online searches across a variety of platforms and a ton of rosters, I have put together my own list below of the top hottest professional baseball players. With this said go ahead sit back, grab some Cracker Jacks and scroll away! 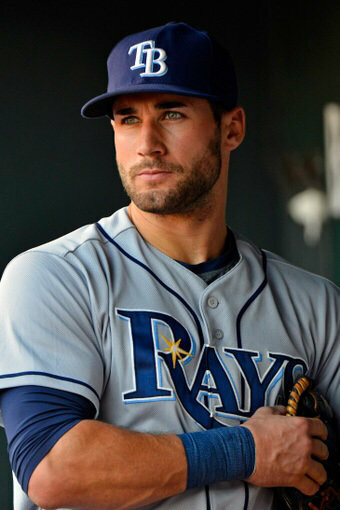 This Tampa Bay String Rays center fielder Kevin Kiermaier with the gorgeous green eyes definitely deserves a spot at the top of this list. He could probably rank the highest on a list for the "Most Gorgeous Eyes". 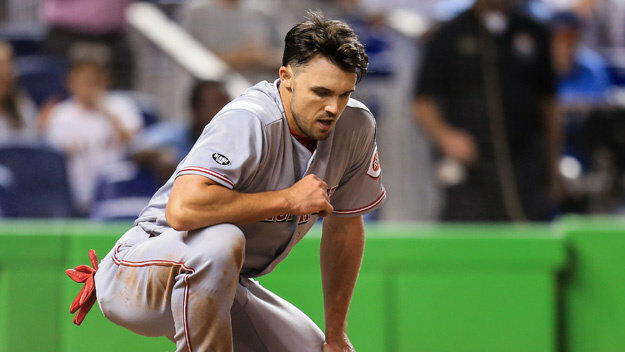 A 2014 World Series winner with the San Francisco Giants, Adam Duvall is now a left fielder and first baseman for the Cinncinatti Reds. Wow, does this picture even a caption? 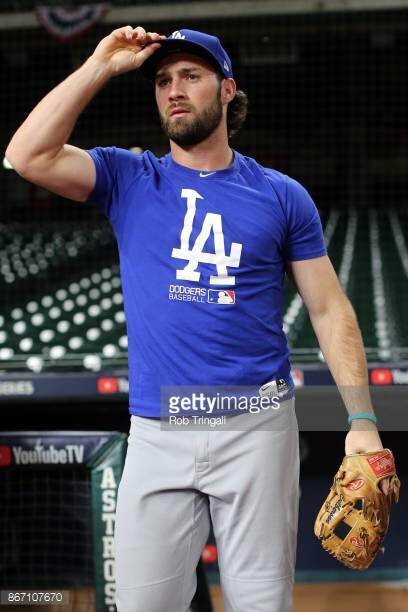 Charlie Culberson is an infielder who recently was picked up by the Atlanta Braves only a few days ago so disregard the LA Dodgers gear and become a Braves fan! As a Colorado native, I am a for sure a fan of my home team. 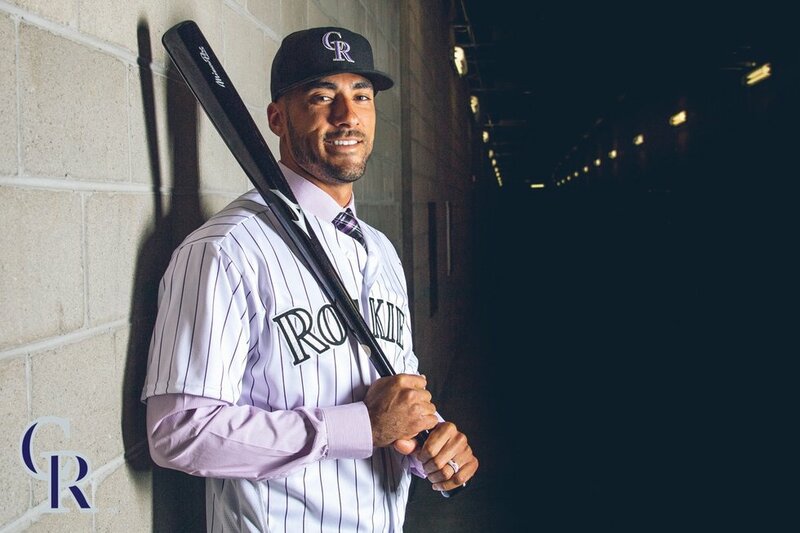 The tall, dark, and handsome Ian Desmond is a left fielder and first baseman for the Rockies who can pull off the color purple very, very well. 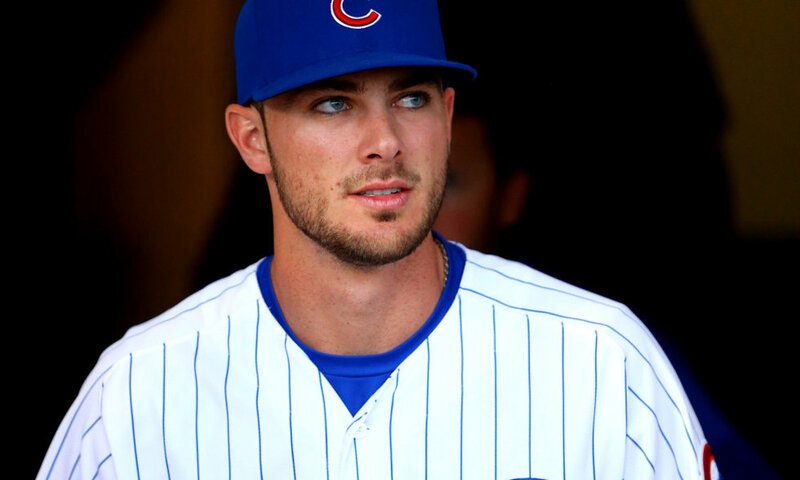 Not only does Kris Bryant play third base and outfield for the Chicago Cubs, he was also featured as a male model for Express. Google that. You will be happy you did. All in favor say "I"! Bryce Harper is a right fielder for the Washington Nationals. He also modeled in ESPN's magazine with very minimal clothing. So, create another browser tab ASAP and google image search. Look at that smile, so, so cute! 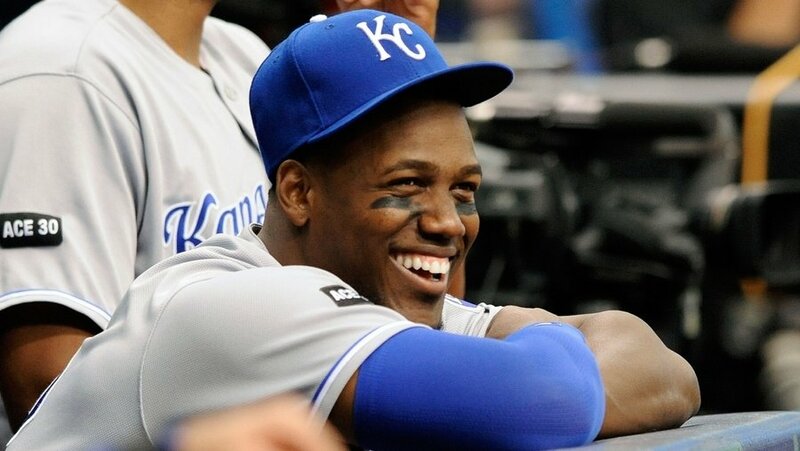 Jorge Soler is a designated hitter and outfielder for the Kansas City Royals, as well as a known previous team member for the Cuban national baseball team. Umm, the fact that this photo is a candid just blows my mind. He is standing there doing nothing and somehow manages to look like that!? 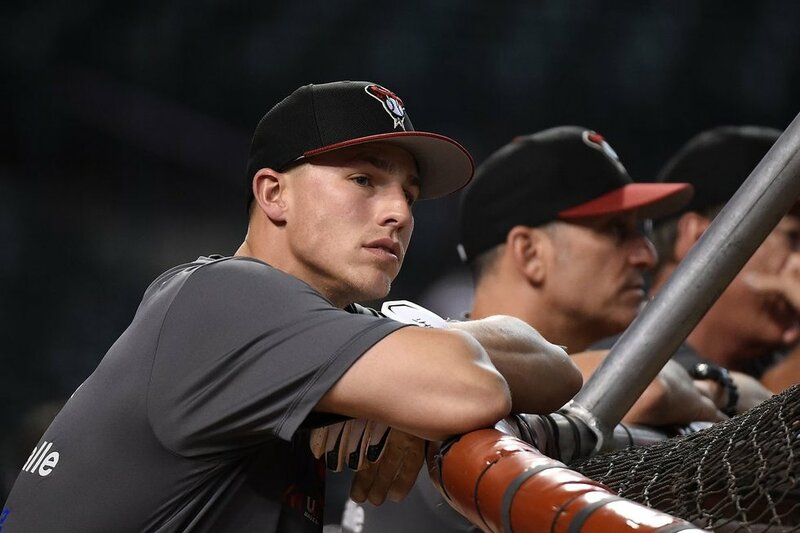 Jake Lamb is the third baseman for the Arizona Diamondbacks as #22. 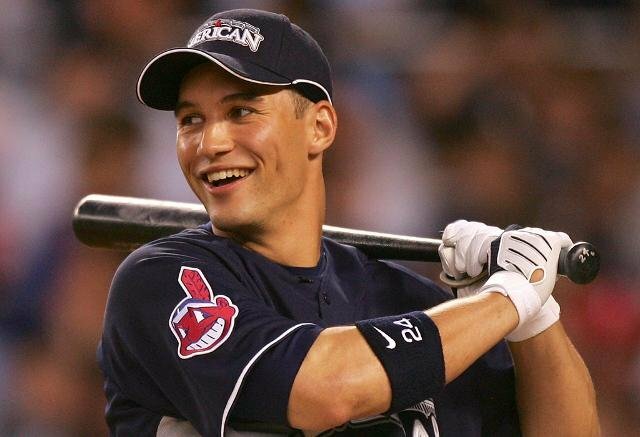 Grady Sizemore is an outfielder for the Cleveland Indians and those dimples are, needless to say, irresistible!